Company branding is very important when it comes to creating a successful business. There are several traditional ways to go about creating a noticeable brand such as business cards, newsletters, advertisements or a well designed website. However, there are also some non-traditional tactics that prove to be successful as well. If you are looking to go the extra mile and do something creative to get attention for your brand, consider designing and printing your own company stickers. 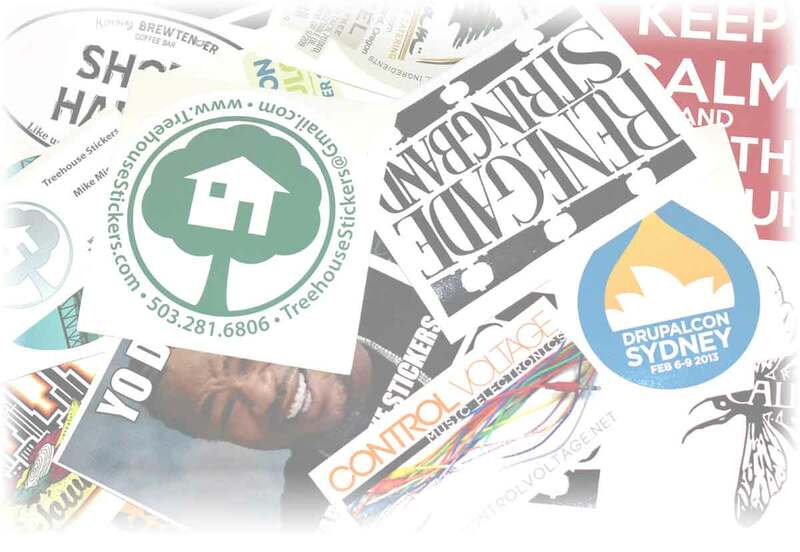 A bright, shiny and colorful sticker might get you a second glance where a paper advertisement might be overlooked. In one of our previous blog entries we discussed the perception of color and how it affects the message you are sending your current and potential customers. It is important to keep color choice in mind when designing effective stickers. If your current logo and sticker design is strictly black and white you might want to consider adding a pop of color. This will increase your chances of grabbing and keeping the attention of your audience. Stickers are meant to quickly convey a message and this message should be understood in one quick glance. Your sticker should include your logo and should not be overly designed to the point where they look cluttered. And finally, when designing your stickers, make sure to use a high quality designing program to ensure that your final product looks professional. After thoroughly designing your sticker, it is time to print! You can use either an inkjet printer or a laser printer–however, inkjet printers are friendlier to sticker paper as they allow the sticker paper to be flexible. Inkjet printers also don’t require a lot of heat to print, meaning there is no conflict between the heat of the printer and the vinyl used to make the paper sticky. Your stickers might need to a thin layer of water repellant spray on vinyl sticker paper to protect them from potential water damage as well as retaining the shine to catch your audience’s eyes. You can pick up paper for printing stickers at most paper supply companies. CompAndSave has fair priced ink that you will need for your printer to make beautiful stickers for your business on your own and just the way you like them. Have you ever printed your own stickers? Do you have any tips to pass on to anyone looking to design their own stickers? Comment below we would love to hear from you. About the Author: James S. is an employee of CompAndSave. He loves card and board games, trees and printer philosophy. this s amazing:Your web site is well done and explains over I got at the opposite resource Print designing. Dura-Label Graphic Pvt Ltd. Offers you stickers for every type of products . We offer you every type of industrial labels at very cheap and affordable cost. We also provide custom label according to the customer requirement and industries types. We are one of the Leading Labels importer and Exporter.